Calling all Mad Fitters! 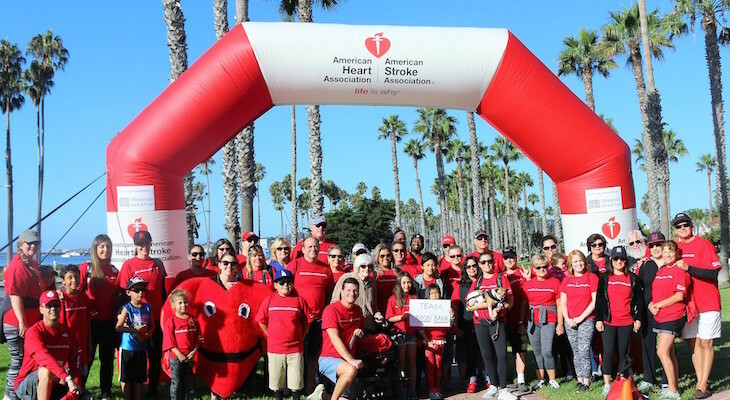 On Saturday September 29th we will be participating in the 2018 American Heart Association Heart Walk. Gym manager and spin instructor, Aly Davis, is on the Executive Leadership Team for the American Heart Association Heart Walk. She has helped spread awareness and raised funds for the walk since January. The Mad Fitness team is honored to be leading the warm up exercises prior to the start of Heart Walk! The opening ceremonies will take place at the Hilton Santa Barbara Beachfront Resort (formerly the Fess Parker.) There will be a finishers celebration at the same location! On the day of the walk, we will not be having your normally scheduled classes! We are looking for as many people to participate in the Heart Walk as possible. It is FREE to participate in the walk and sign up can be done online or the day of the walk. Registration begins at 8:30am and the walk will start promptly at 9:30am. Please wear your Mad Fitness gear and walk or run with us! The AHA was our Charity of the Month in early 2018 and the Mad Fit Crew was able to raise almost $3,000 is one month! We are so grateful to be able to give back to our local community and raise awareness for an organization that works tirelessly to help so many people. Move More for a Healthy Heart! The best thing that you can do to keep your heart healthy is to exercise and eat healthy! A good starting goal is to exercise for at least 150 minutes a week. If you don’t want to sweat the numbers, just move more! Find forms of exercise you like and will stick with, and build more opportunities to be active into your routine. Mad Fitness offers a full gym, personal training and fun group and spin classes to help you meet your goals.